This healthy diet exercise stuff can get complicated and confusing. So when I have doubts, I look to what modern experts and high-level practitioners are saying. These interviews tell you what many of the most up-to-date people think about exercise and nutrition. And why they think what they think! 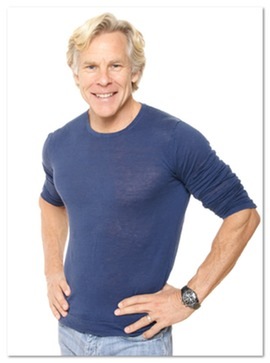 Mark Sisson runs the blog MarksDailyApple.com, where he shares his own 'Primal' take on health diet exercise stuff. He advocates a lower carbohydrate diet, with lots of vegetables, delicious dead animals, and mouth-watering saturated fat. In my interview we talk about the importance of intense exercise, how 'chronic cardio' makes you feel like crap, and why eating dead animals won't kill you. Check it out! Gary Taubes is a very well known science journalist. His recent books,Good Calories, Bad Calories and Why We Get Fat, have popularized low carbohydrate diets again, and he outlines precisely how carbohydrates help increase fat and encourage metabolic disorders. Bill DeSimone is a personal trainer who's been lifting weights for about the last 40 years. Over that time he's injured himself, taken care of himself, and done a ton of research into the correct biomechanics of weightlifting. His books Moment Arm Exerciseand Congruent Exercise explain the method of weight lifting he has come to use as a result of his desire to continue lifting and getting stronger, while also going easier on his joints. In my interview with him we talk about what makes his 'congruent' exercises easier on the joints. We also discuss good diet and training practices. Check it out! The link above is for a transcript of our interview. Click here to download the MP3 of my interview with Bill DeSimone! If you like these health diet exercise interviews, then you'll enjoy my monthly E-Zine, Starting Strong. It keeps you updated about info added to Complete-Strength-Training.com, and also brings you select articles and tips. Sign up below! • Click here to leave 'Healthy Diet Exercise Stuff: What The Experts Say' & go back to the Home-page!